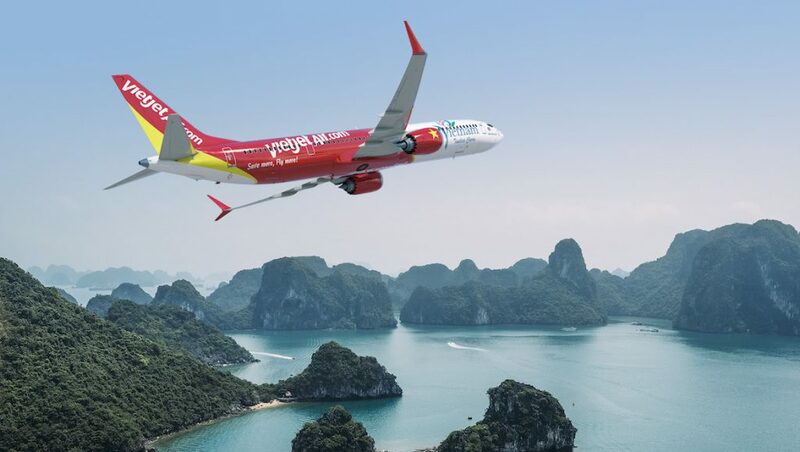 This article from John Walton on the launch of the Boeing 737 MAX 10 originally appeared in the August 2017 magazine edition of Australian Aviation. 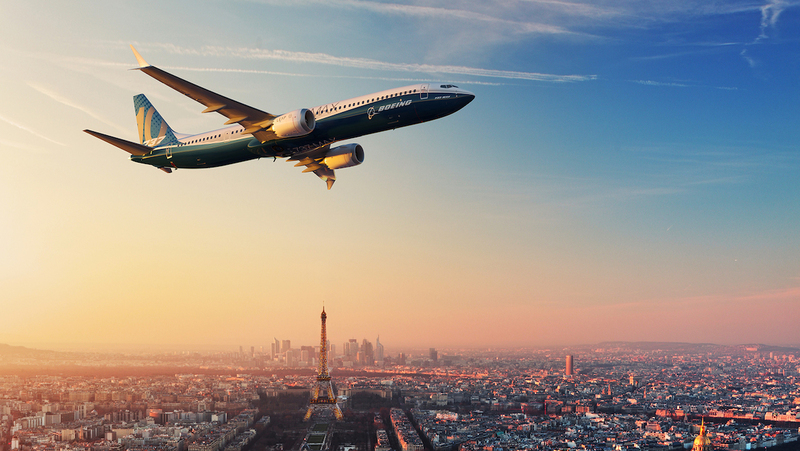 Boeing’s double-stretched 737 MAX 10 narrowbody, capable of carrying up to 230 passengers over a 3,215nm distance, was the talk of this year’s Paris Airshow. At 4.32m longer than the approximately 150 737‑800 aircraft currently flying Australia’s skies, the MAX 10 is an attempt to capture more of the larger single-aisle market from Airbus after the A321neo outsold Boeing’s 737 MAX 9 by a factor of three or four, depending on the method of calculating orders. “Our customers told us to build it bigger,” Boeing Commercial Airplanes chief executive officer Kevin McAllister said of the 737 MAX family when launching the MAX 10 at Le Bourget, and indeed the MAX 9’s sales suggested that Boeing had not previously put forward a suitable replacement for the middle-of-market segment, spanning the gap between the 220-seater, 3,515nm-spanning 737 MAX 9, and the 787-8’s standard 242 passenger capacity and 7,335nm range. Flying northwest from Sydney, that range gap equates to the space between Bali and eastern Turkey. 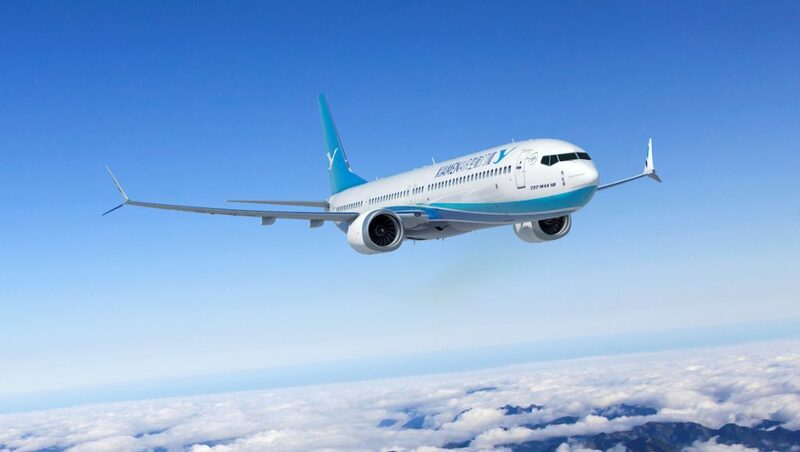 Of course, the standard capacity numbers for both those aircraft are not apples-to-apples given the interior layouts, and indeed it is these interior layout opportunities that enable the 737 MAX 10 to fulfil some of the unusual new missions that its creators – and their airline customers – are now proposing for when the jet begins delivery in 2020. Australian Aviation sat down with Casey Goelzer, regional director of product marketing, and Kent Craver, regional director of cabin experience and revenue analysis, after the Paris Airshow, to learn more. “The response to the 737 MAX 10 has really been impressive from our standpoint,” Goelzter said. “I think that you saw that illustrated by the initial press conference: about 240 orders from 10 customers. At the end of show tally, it surpassed that. So we are really pleased with how this airplane is performing in the marketplace, and customers recognise the value. We invested a lot in the 737 MAX to make sure it’s the most efficient airplane in the marketplace, and the 737 MAX 10 plays on those strengths where it’s the lightest weight single-aisle plane out there. The conventional wisdom among the industry is that the 737 MAX 10 is not a 757 replacement. Except that it is. There is a shorter range part of the market where it is a very capable replacement for the 757-200 on a good number of existing and future narrowbody routes. To understand why, it’s key to revisit the limitations on the 737 MAX family, dating back to design decisions in the 1960s. 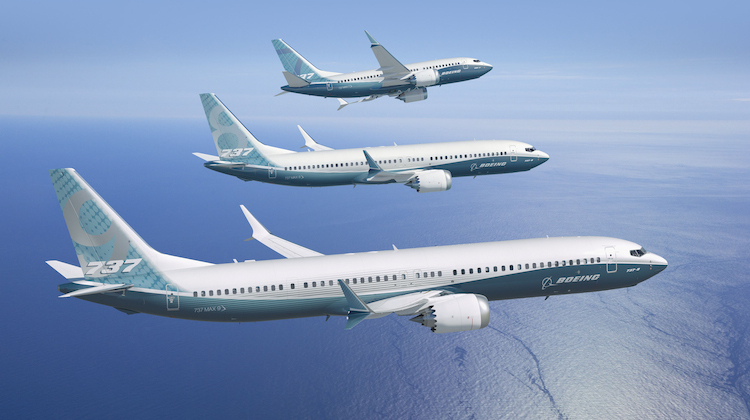 The 737 MAX comes in four lengths: the 35.6m 737 MAX 7, a slight stretch over the 737-700, which will seat 172 passengers; the 39.5m MAX 8, the same length as the -800, seating 189 in standard layout; the 42.2m MAX 9, a few centimetres longer than the -900 and -900ER, seating 220; and the 43.8m MAX 10, which can carry 230 passengers. The “half model” is the ultra-high density 737 MAX 8 200, nicknamed the 737 MOL for Michael O’Leary, chief executive of launch partner Ryanair, which is delighted to increase the exit door capacity slightly in exchange for gaining 11 seats while maintaining the length of the 737 MAX 8. VIDEO: An introduction to the 737 MAX 10 from the Boeing website. Compared with the current NG models of the 737 family, Goelzer continued, “depending on the submodel, you’re going to get 800nm more range with the MAX family of aircraft. So it provides the opportunity to open up new routes as well: additional capability, but also major improvements in fuel efficiency, which we all care about. Those CFM International LEAP 1-B turbofans, a joint venture between France’s Safran Aircraft Engines and the United States’ GE Aviation, have posed challenges to the MAX family. The 737 was designed over 50 years ago with smaller, low-bypass Pratt & Whitney JT8D-1 engines referred to as “cigarettes” on the 737-200 for their distinctive, long shape. Smaller diameter engines meant lower ground clearance, which in turn meant that the aircraft could deploy its own airstairs – a benefit in the ’60s and, indeed, in many regional markets today. When Boeing came to offer the -300, -400 and -500 models – now called the 737 classic family – in the 1980s, it realised the higher bypass engines available two decades later were desirable, but the proximity of the lower edge of the engine nacelle led to the “chipmunk” monicker as engineers moved fuel pumps, generators and other parts of the engine away from the lower edge without Boeing needing to extend the landing gear through the current 737 NG family. The appearance of a woodland creature with acorns stuffed in its cheeks continued on the engines of the 737-600, -700, -800 and -900. For the MAX, Boeing has finally bitten the proverbial bullet and lengthened the landing gear, extending the nose strut by up to 20cm in order to provide extra engine ground clearance. Notably, the MAX 10 will not require a different configuration to its shorter family members, Boeing’s Goelzer confirmed. “It’s the same for all of those submodels. We went to an engine installation where we mount the engine further forward and also shifted upward relative to the length. And that’s very similar to how we mounted our engine on our 787 Dreamliner. And in addition we’ve increased the nose landing gear height by eight inches (20cm) and so doing that, we actually get a much larger fan larger diameter on the MAX aircraft, while maintaining a very similar engine-to-ground clearance. Boeing’s consideration of the nose landing gear’s length took into account the desire for standardisation across the 737 family. “The physics of it are, really, that we want to maintain the same sill heights for aircraft door heights across all the submodels, so that you can use the same jetways and airstairs main stairs. You could fly any MAX sub model at any of the airports and have the opportunity for the airport to service all of those models,” Goelzer explained. Inside the MAX, in interiors guru Kent Craver’s domain, “from a cabin experience, passenger experience, perspective the MAX family is utilising the Boeing Sky Interior, which is performing extremely well in the marketplace. Passengers love it, our airline customers like the interior and are receiving benefits from it. The 737 MAX 10 will continue on with that,” Craver said. 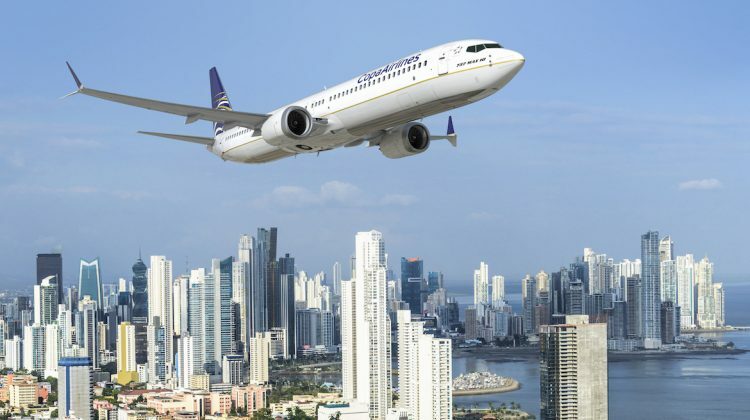 Compared with earlier 737 family models, Craver explained, “some of the key differences are – let’s start with the 800, just comparing to that – that you’ve got a 170 inch (4.32m) stretch of the interior fuselage. That allows additional passenger capacity. That’s rare: this aircraft can seat up to 230 seats or it can really be customised to any interior configuration our customer desires. VIDEO: A look at the 737 MAX 10 landing gear from the Boeing website. Will the 737 MAX 10 be an A321neo killer – or a 737 MAX 9 killer? That comparison with the MAX 9 is apt: Airbus’s dramatic success with the A321neo compared with the 737 MAX 9 is clearly part of Boeing’s strategy in double-stretching the MAX aircraft from its base MAX 8 model. The A321neo’s popularity is twofold: first, its 240-seater max-pax size is attractive to many airlines already operating significant narrowbody fleets up to medium-haul routes but without the desire to diversify into widebody aircraft. 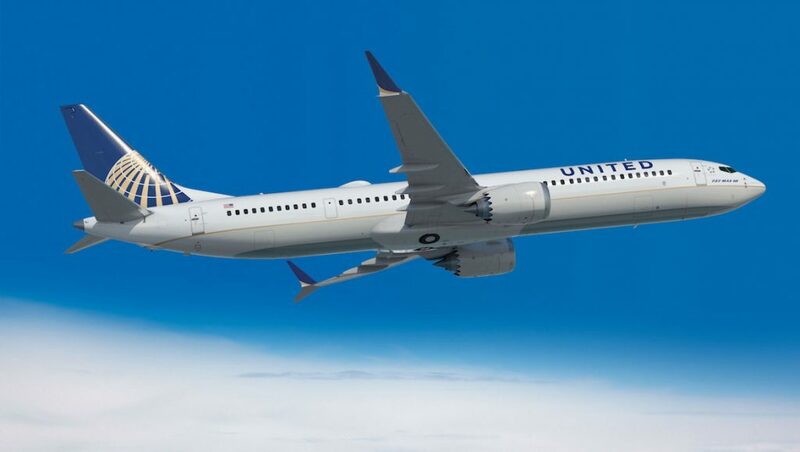 Second, its higher engine ground clearance gives it the power and efficiency to be able to replace the Boeing 757-200 in many of the existing middle-of-market routes, which have previously been exemplified by Europe-US east coast transatlantic flights of around 4,000nm. The 737 MAX 10 can clearly compete with the first selling point of the A321neo. Indeed, on the efficiency side the 737 family is smaller and lighter than the A320 family, which – painting with very broad brushstrokes – means the aircraft is slightly cheaper to operate but is slightly less capable in terms of weight and range. 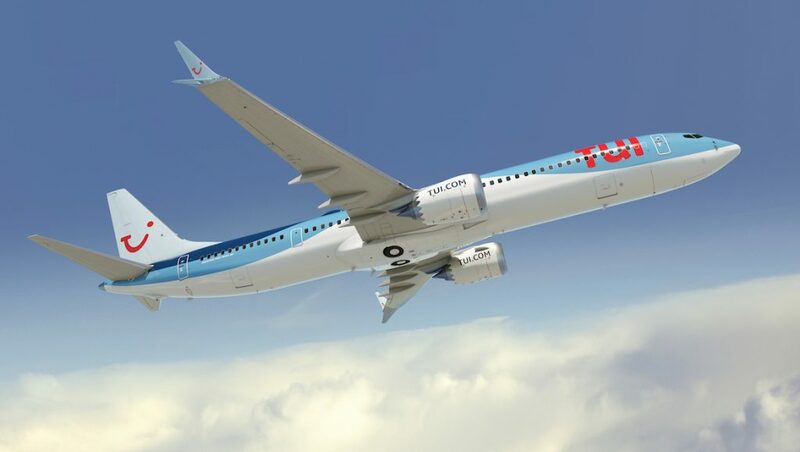 This holds for the 737 MAX and the A320neo, which will be closer in wing, engine and aerodynamics than previous generations of the duopoly narrowbody market. Where the 737 MAX (and particularly the MAX 9 and MAX 10) does not match the A321neo is in carrying a full load of passengers over the longer distances: the middle-of-market gap. This was already true with a 737 MAX 9 to A321neo comparison, but is even more true with the 737 MAX 10, given its shorter range than the A321neo – particularly when the auxiliary fuel tanks of the A321neo’s A321LR sub-subtype are taken into account. That said, there is a good argument that the admittedly fascinating developments at the range extremes of the lower passenger capacity end of the middle-of-market gap – the 757 replacement battle – has ignored that there are many airlines out there that would happily fly their 230-240 passengers in max-pax layouts at the range of the 737 MAX 10 and A321neo. In this market, Airbus’s sales supremo John Leahy, shortly due to retire but never retiring, suggests that the 737 MAX 10 is unlikely to pull sales from the A321neo but will rather cannibalise the 737 MAX 9. The significant proportion of conversions to the MAX 10 from other MAX family aircraft (something that airframers are generally happy to consider) at the Paris Airshow is something of a justification for Leahy’s views. That said, Boeing’s team at Le Bourget and afterwards highlight that a given 737 MAX is, on balance, generally cheaper to operate than the equivalent A320neo. With many of the big-budget low-cost carriers like Lion Air and leasing companies focused on price, this is clearly a persuasive argument for some max-pax customers. But at the other end of the passenger experience scale, the 737 MAX 10 opens up some fascinating options for premium carriers. To date, premium narrowbodies haven’t really made it to Australia, with examples like JetBlue’s Mint product, American Airlines’ A321 transcontinental subfleet, and a range of 757s with fully flat beds like the Rockwell Collins Interiors Systems (formerly B/E Aerospace) Diamond in a 2-2 configuration up front largely found overseas. Qantas’s mooted Red Q (AKA Qantasia) narrowbody premium airline based somewhere in south-east Asia is about as close as Australia has got to narrowbodies with anything more than a recliner in business class. The time is right for that to change, in the context of a softening transcontinental Australian market and growing demand for China flights that are pulling the coast-to-coast premium Airbus A330-200 aircraft operated by Qantas and Virgin Australia northwards. 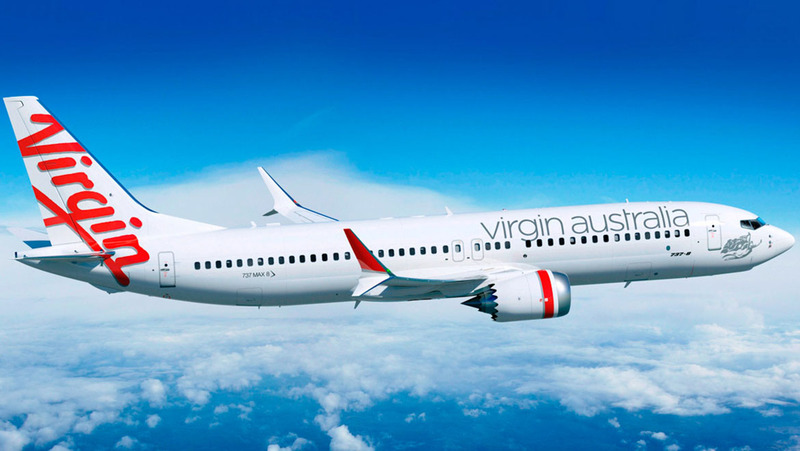 The question, of course, is what would replace Virgin’s Rockwell Collins Super Diamond outward-facing herringbone flatbeds and Qantas’s Thompson Aero Vantage XL staggered seats in business class, where fewer passengers are travelling but those who remain are still keen on a good night’s sleep. With over four metres of extra length compared with the 737-800 or the 737 MAX 8, the MAX 10 clearly opens up configuration options for airlines to look at 1-1 layout flatbeds in a herringbone or staggered seating pattern, with the efficiency and fleet commonality benefits of the 737 that both Qantas and Virgin already operate, plus an opportunity for passenger experience consistency. 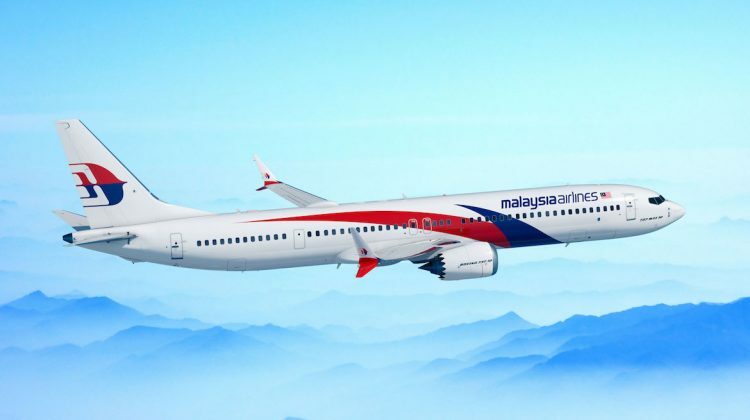 Unsurprisingly, Boeing wouldn’t be drawn on whether it was in talks with Virgin Australia to design a premium narrowbody, but one chief executive who was very open about his plans was Malaysia Airlines’ Peter Bellew. Malaysia Airlines plans to operate at least some of its 737 MAX 10 aircraft, which could take 230 passengers in all-economy max-pax configuration, as 166-passenger jets with 16 fully flat beds with direct aisle access. The airline, Bellew said, is working with Thompson Aero – Qantas’s Business Suite seatmaker – on a new seat product for these aircraft, which will largely be used for the growing, lucrative and increasingly choosy Chinese market. Kent Craver, Boeing’s cabin experience and revenue analysis expert, also revealed that Boeing is already working with multiple seatmakers to provide fully flat beds as delivery-ready options on the 737 MAX. 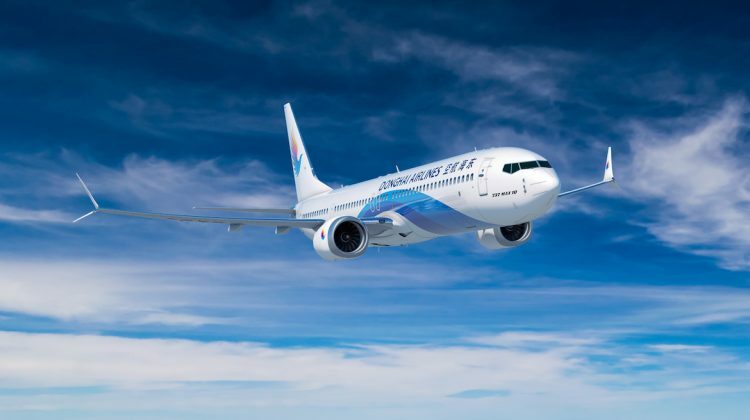 Fewer passengers, and fewer bags, will also mean that the performance of the aircraft improves, Boeing’s Goelzer noted. Neither Goelzer nor Craver would comment on specific range performance for premium narrowbody configurations, which doesn’t dispel the argument that the 737 MAX 10’s performance is not suitable to compete with the A321neo at the longer-range end of the scale. “When we are working with airlines we always evaluate specific custom performance based purely on their interior configurations and weight assumptions, and so I can’t speak to specific customer range capabilities until we evaluate, other than to say that we do customise our analysis,” Goelzer said. When launching the 737 MAX 10, Boeing announced 240 orders from 10 customers, and now has over 350 from about a dozen – the numbers, of course, are as usual imprecise thanks to announcements from unidentified customers, to 737 MAX orders that don’t specify a subtype, to conversions, and the fact that many of the orders are from leasing companies and will fly for airlines that either have or have not yet been revealed. But the questions about whether the MAX 10 is cannibalising the MAX or eating away at Airbus’s A321neo lead remain. 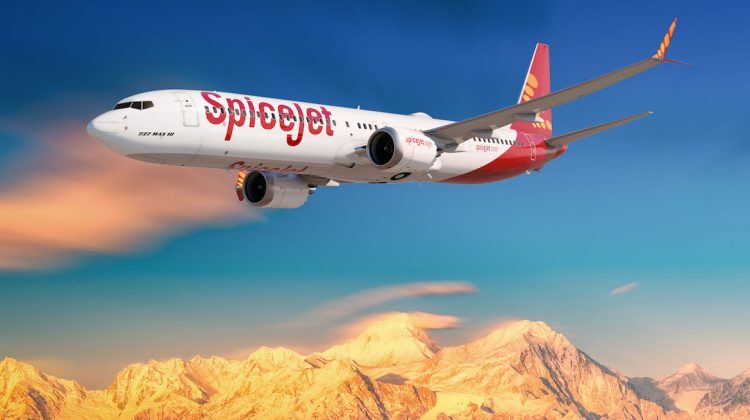 There’s certainly room in the market for both of these aircraft, and indeed for both of them once Boeing and Airbus eventually decide on their next step for the middle-of-market aircraft. The 737 MAX seems done with stretches, although the often-mulled Airbus A322 stretch of the A321neo, essentially doing to the Airbus narrowbody what Boeing did with the MAX 9 to get the MAX 10, seems likelier to see the light of day given the clear response that there’s money to be made selling longer jets that take up the same assembly line production slot. What isn’t yet understood is how the MAX 10 and a potential A322 will affect the design of the new-market aircraft that Boeing will likely call the 797. 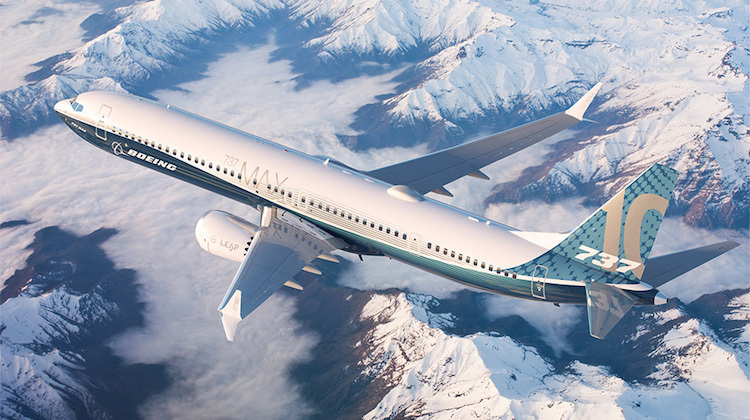 If Boeing can offer the shorter range end of the 757-200 replacement market the 737 MAX 10, and the longer range end with the 797, it may drive Airbus to pull its own next-generation new-market jet offering forwards. Stretching isn’t just for aircraft any more – it’s for the design and delivery plans of the next 20 years of airliners. This article originally appeared in the August 2017 magazine edition of Australian Aviation. To read more stories like this, subscribe here.